Ship Sim 2019 is another simulation product, giving players a lot of real experience thanks to the extraordinary improvement in graphic design. It can be said; there are now many manufacturers pay attention to making players pay attention to the image quality right the first time to play games. The latest point of this game is that it serves players a maritime game with exciting landscapes. Because land-based transport simulation games have a lot of people done, it has become hot quickly. After only 2 days of launch, it gained 100 thousand installments from the gaming community on Google Play. This is a great source of motivation for producer Ovidiu Pop to continue creating other more exciting games of the same genre. In general, they used to have many games of this type in the past, so this will be a trusted product. This game does not put us in the real world on Earth but is a vast sea area called Mediterranean sea. In fact, there are no monsters for you to defeat, nor are their fierce pirates. 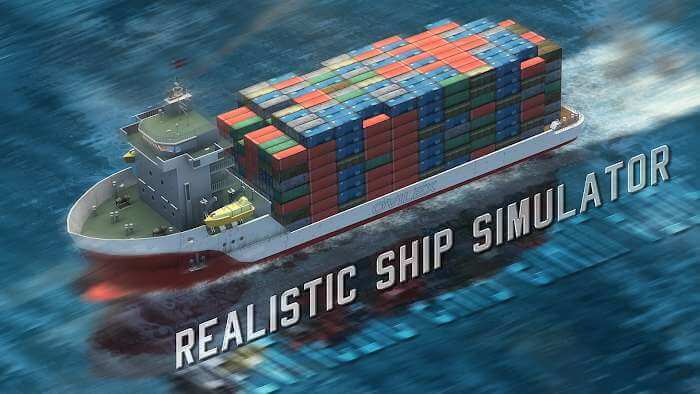 At Ship Sim 2019 is merely a traffic simulation game only when you participate in this journey, the most challenging thing is to overcome what nature is about to set. 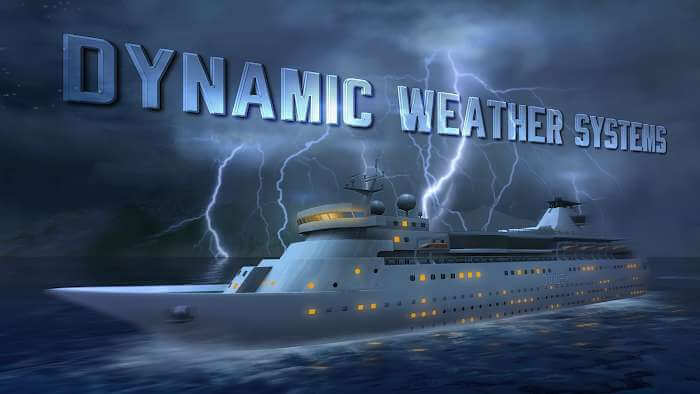 Big storms, reefs and even mechanical problems, are tricky things that you will have to deal with neatly. The ship you control is one of the largest vehicles in the world of adventure in a vast sea. This place is built on the real physical world with all that is present in nature to challenge players. The most typical example is the reincarnation of time; you will have to travel through different seas stretching on different meridians. Normal phenomena such as day, night or even spring, summer, autumn and winter have enough. The unique feature of this game is that it mentions 3 different gameplay in the same game. 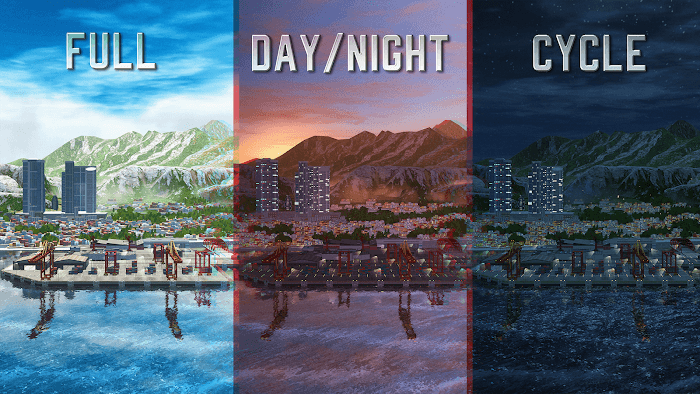 Each mode will have a large number of ships for you to unlock gradually during your play. With Cruise ship simulator, players will transport the guests to anywhere in the Mediterranean sea. 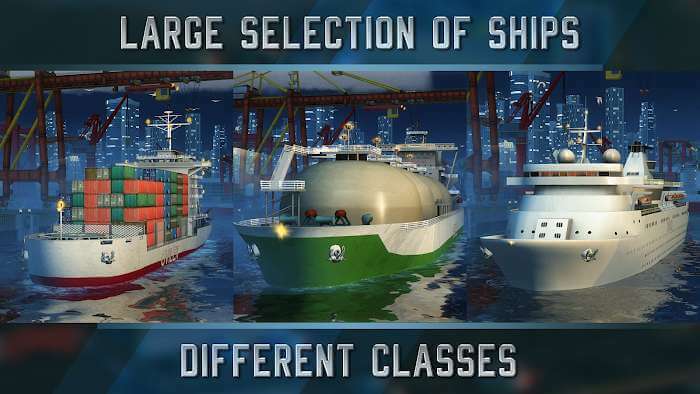 Secondly, you can also drive a Cargo ship simulator to be able to carry a wide range of goods to different countries. Finally, you can play the role of a tanker captain. In general, these 3 branches all have the same operating mechanism. You will have to depart at a port and arrive safely at your scheduled destination. You will then receive a fair amount of money to upgrade everything or buy new ships.